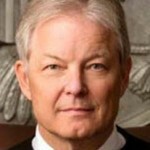 Prior to his appointment as a bankruptcy judge for the District of Utah in September of 2015, Judge Anderson served for seventeen years as the Standing Chapter 13 Trustee for the District of Utah. During this time, he administered over 70,000 Chapter 13 cases. Judge Anderson was elected president of the National Association of Chapter 13 Trustees (NACTT), and he also served on several national committees regarding Chapter 13 legislation, rules, forms, and policy. Judge Anderson has frequently written and presented on Chapter 13 issues, including for The Norton Bankruptcy Law Advisor, The ABI Journal, The NACTT Quarterly, and The NACTT Academy for Consumer Bankruptcy Education. He is also a Fellow in the American College of Bankruptcy. Prior to his appointment as Chapter 13 trustee, Judge Anderson practiced for thirteen years as a commercial litigator with an emphasis in civil fraud, real property, and representing Chapter 11 and Chapter 7 trustees. He also clerked for the Honorable David N. Naugle, Bankruptcy Judge for the Central District of California. Prior to law school, he worked for two years as a data system specialist testing military and commercial jet engines for General Electric.